The effortless straddling of genres and generation traps has been the trademark style of director Lal Jose. He repeats his triumph again with Nee-Na, a film that has been close to his heart for many years. Now playing at theatres in the UAE, Nee-Na also can stake claim to have successfully stood up to the onslaught of the season’s superhit film Premam. Written by newcomer R Venugopal, an advertising professional, Nee-Na has not only become a box-office success but also a talking point among the critic circle and social media for its bold theme. The story of Neena, played by newcomer Deepti Sahi, who relishes in debunking societal perceptions of what a girl must or must not do, and Nalini (Ann Augustine), the traditional, sweet home-maker, Nee-Na could have been the archetypal ‘female-centric’ film but for the surprise factor sprung by actor Vijay Babu. 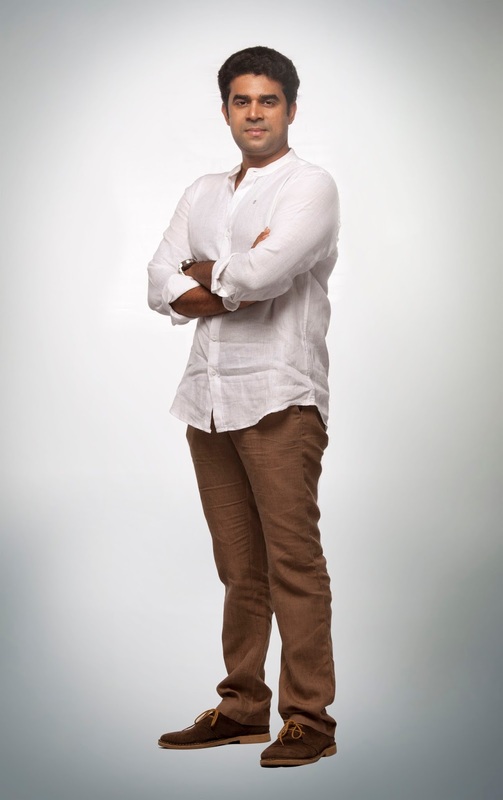 A producer and film marketing professional in his own right, Vijay has defined his credentials as an actor of substance in his role as Vinay, an advertising professional. Neena storms into his otherwise homely life and how he and Nalini go through its aftermath is what the film is all about. But in vintage Lal Jose fashion, the film breezes into the next level in almost all areas – be it cinematography by Jomon T John or music by Nikhil Menon, who also makes his film debut. And Vijay Babu, who calls Dubai his home and a city that enabled him to evolve as a person and professional, feels vindicated. After all, being on and off-screen for nearly two years, he has been finally recognised by critics as an actor of substance. Lal Jose cast Vijay at a time when he was basically behind the camera, charting out production schedules and running some fantastic guerilla marketing campaigns that helped his production house Friday Film House, a name to reckon with in Malayalam cinema. He had made a noticeable presence as actor with films such as Honeybee and gained acclaim for his roles in Philips & The Monkey Pen and Bicycle Thieves. He also gained a good share of limelight with the Mohanlal-starrer Peruchazhi, another home production. While Nee-Na has redefined his credentials as an actor, Vijay says his choice of roles will be defined by the character and not hero/villain tags. He will next act in his home production, Muthugavu, directed by a newcomer Vipin Das, in which he will play a role with negative shades. Vijay Babu is a name that used to appear in the title credits of Malayalam films under the obligatory ‘Thank You’ notes. Eventually, he appeared in blink-and-miss roles, and the more observant ones connected that as gestures of gratitude by filmmakers. After all, he was a force to reckon with for emerging and even established filmmakers. 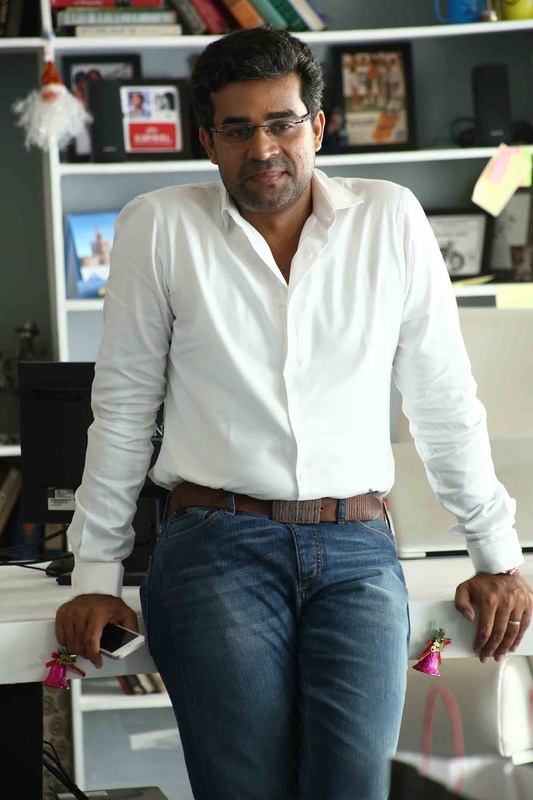 He was heading a leading television channel in India, which arguably had the largest film library and was out there lapping up every film by paying phenomenal satellite rights. For the less initiated, ‘satellite rights’ are the make or break deals when it comes to film production. Often, the producers recover their costs with just the royalty paid by television channels. And Vijay was a key decision maker, his instinct working like magic. Formerly, a Dubai-based television professional, Vijay had stepped into the Malayalam film arena at one of its most exciting periods. But he stayed put in the backstage for nearly five years, doing the occasional cameos, but watching and learning the industry. Although noticed earlier for his rather meaty role in Honeybee, and despite the heady fame and critical appreciation of his performances,Vijay says he is a reluctant actor. None of the roles that he was noticed for (the others being in Escape from Uganda and Bicycle Thieves) were planned for him. “The actors whom we approached for my role, as a strict Math teacher, in Philips & The Monkey Pen… didn’t find it interesting; they were keener to play the lead,” says Vijay. While Monkey Pen… had audiences and critics take serious notice of Vijay, it is Bicycle Thieves, in which he plays a maverick advocate that came as the real icing on the cake. “I was in fact insistent on not doing the role, because it was extremely challenging and crucial to the movie,” says Vijay. And what is perhaps refreshing about a conversation with Vijay is that there is neither the feigned humility nor the arrogance. He is matter of fact. That comes with his career background, and a clear purpose in life. It has been a while a film with a child as a central character has worked at the Malayalam box-office. While Master Sanoop, the brother of actress Sanusha, delivered a spectacular performance, Vijay as Pappan, the teacher, who terrifies students with his rather dictatorial approach, offered the right foil. Together, the film walked into the hearts of moviegoers for its sensitive and clean narrative. Vijay also brought out his marketing genius to promote the film. He did direct marketing to over 1,350 schools over 60 days, hosted special screenings for school principals and created the right buzz at the right level. After having had to battle for theatre space and postponing the film’s release at least two times, when Monkey Pen released, the initial box-office collections were rather dismal. “But I told my team not to lose heart. And sure enough, by the first week, word of mouth picked up, and today, even after 40 days, the film has house-full collections in all key release centres,” Vijay says. Balancing his responsibility as producer and actor, Vijay now finds more time for acting. And he has his hands full. “I think there is a space now in Malayalam cinema for someone of my age,” says Vijay. From the thank you credits to title roles and the producer tag, Vijay has moved several rungs up, indeed. That is one success, gained through a confidence in oneself and a definite sense of purpose. To break even in three days, despite an INR10 crore budget – that is the box-office magic that Peruchazhi, the Mohanlal-starrer had pulled off. For Bollywood, familiar with its INR200 and INR100 crore club, the figure might appear paltry. But in Malayalam cinema, this is momentous by all measures, and no matter how the film fares in the coming days, it has made its date with history. And for the film’s producer Vijay Babu, who also plays one of the eight central characters of Peruchazhi, the success is a vindication of his trust in the film’s one-liner. “This is a celebration of Mohanlal, as how we wanted to see him on-screen,” says Vijay, who has been redefining the norms of the Malayalam film industry, with innovative marketing blitzkriegs and a new approach to film production. To the uninitiated, Peruchazhi is directed by Arun Vaidyanathan, an Indian-American director, who debuted in films with a Tamil feature,Achchamundu! Achchamundu! Vijay planned out Peruchazhi with extreme care, given that a chunk of the film was shot on location in the US, and also gaining credit as the first Malayalam film to be shot in the Universal Studios in Hollywood. He entrusted all logistical aspects of the film to a legal firm in the US, ensuring the film’s seamless completion on time. “And it further helped that the director is US-based,” adds Vijay. When Mohanlal also gave the encouraging nod, Vijay took on the role of the poll team member of a US presidential candidate, who calls on the services of Jagannathan (Lal) to turn the tides.